Maintenance repair kit for CO2 based pistols. Compatible with models: Dan Wesson, CZ and STI from ASG. 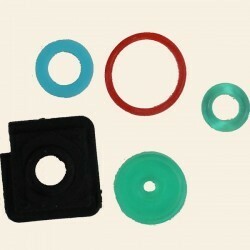 Package includes four o-rings and one gasket (1 x 1-27, 1 x 7-11, 1 x 7-12, 1 x 7-03, 1 x 7-01).